Good news!! I got a new camera! Not-so-good news: This post is full of iPhone pics, since I didn’t have a chance to charge my camera battery prior to this meal. Oh well, I think we can deal. 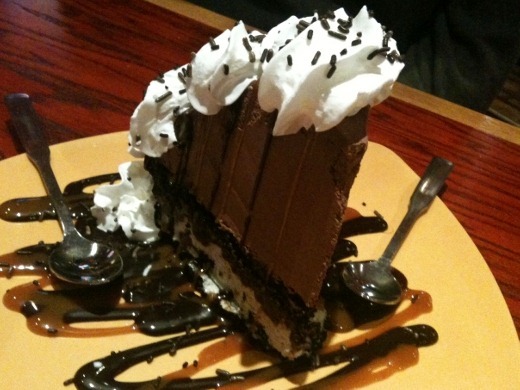 Wednesday night we used an anniversary gift card from MegGoesNomNom-Mom and went to Red Robin for dinner. (Our anniversary was a while back, I’ve just been saving the card.) All day I dreamt of the fries I would consume. They did not disappoint. OMW so good. My only criticism was that the bread was a just tad dry and not really ciabatta-like. With that said, the grilled chicken filet was giant and juicy, served nice and not, and delicious! 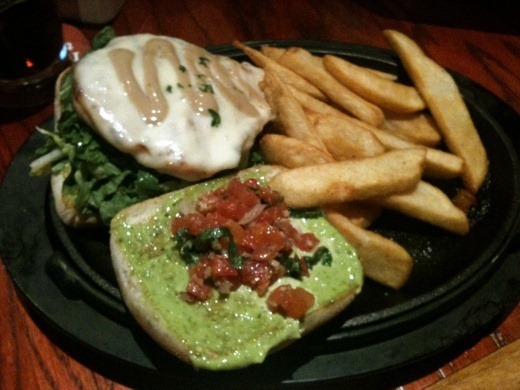 I am a pesto lover, and this sandwich definitely delivered that bright pesto flavor that I so love! Promptly devoured this sandwich. And obviously the fries as well. 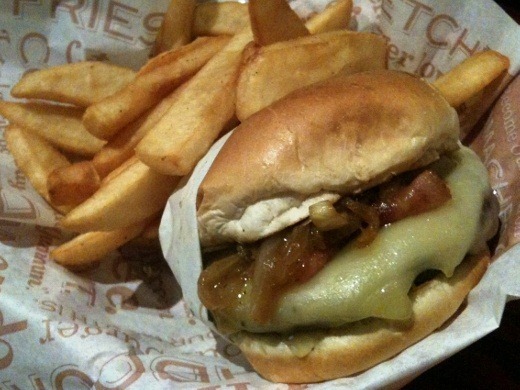 The huz ordered the other menu item that I was eyeballing – the Jim Bean burger, covered in so much dang Swiss cheese you can’t even see the beef (that is not a complaint, trust me), caramelized onions, and bacon. Dessert was ridiculous and that’s all I have to say. And I ate every ridiculous bite. Well half. Minus the whip. 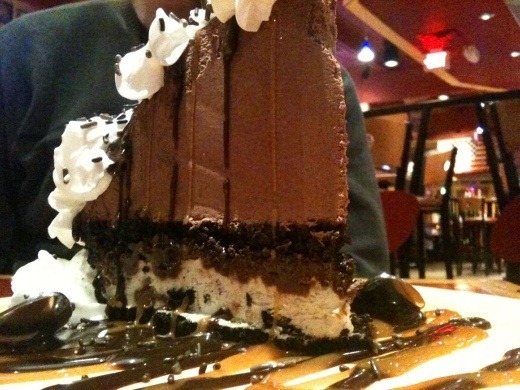 Good lawd, this was serious. 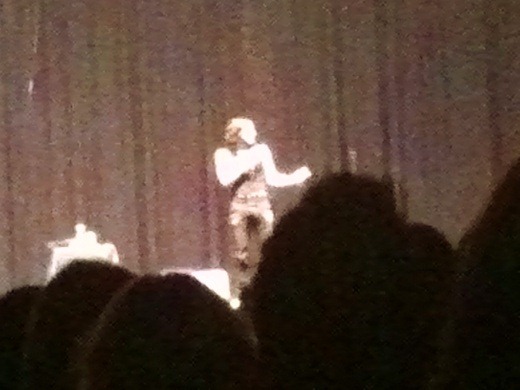 After dinner we went to see Russell Brand perform at the EMU Convocation Center. We score a pair of floor seats for nearly 75% on LivingSocial. I told you I’m obsessed. Russell was hilarious and put on an entertaining show with lots of audience interaction. A fun little Wednesday night, eh? I thought Russell was just hilarious! I loved that he interacted with the audience and talked about so many different things. Glad you had a good time!